Sunday is the new shopping day at The Mall, as you have the chance to win an amazing prize every time you shop on a Sunday! For the rest of the year, The Mall, Luton is offering shoppers the chance to brighten up their day when they spend £50 or more on any Sunday. Simply take your receipts from any number of stores to the Ask Me Point, along with your RewardME card, where you can pick up a lucky scratch card. Behind each card is an instant fabulous prize which you can take home with you, including Beauty gift sets, chocolates, vouchers and much more. On each scratch card there is also a unique code which recipients can enter to The Mall’s website for the chance to win a huge £5,000 at the end of the year. The more scratch cards you pick up – the more chances you have to win. 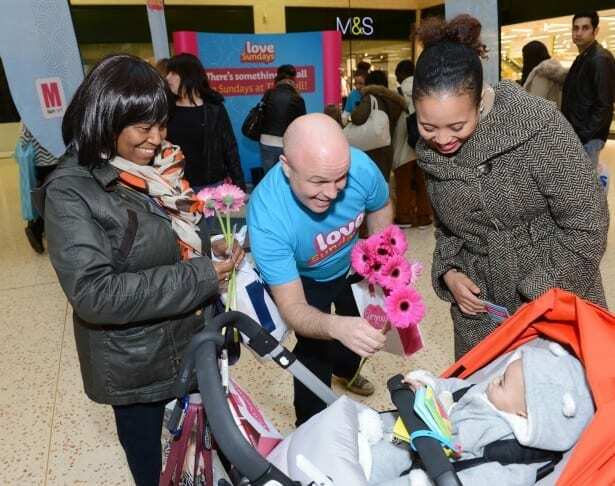 On Sunday 1st March, a huge 340 shoppers took home their first free gift of the year! Take a moment to view Luton’s very own version of Pharrell Williams’ Happy video which was shot on various locations in Luton and Luton’s town centre. Museum Maker teamed up with Igniterr CEO of NangTV to recreate a version of Pharrell Williams’ Happy in Luton.